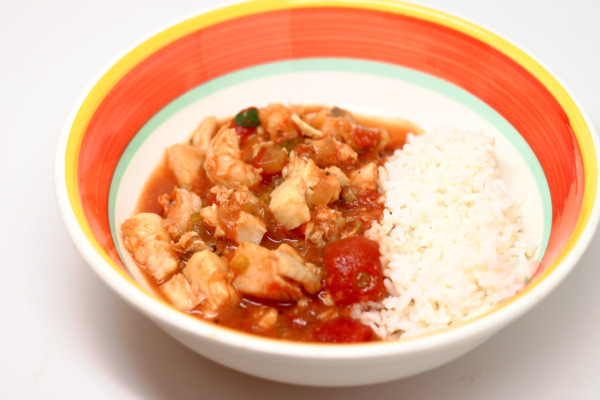 This is a great seafood stew full of flavor and body. If you have leftover bits of cooked fish. you only need to put them in the crock for 15 minutes or so to heat up. If you like it a bit spicier, add some hot sauce and you get a jambalaya tasting dish. Combine onions, celery, garlic, tomatoes, clam juice, tomato paste, vinegar, spices, sugar, thyme, pepper flakes and bay leaf and mix well. Cover and cook on high 4 hours. Stir in fish, shrimp, clams and crab and reduce heat to low and cook 45- 1 hour minutes or until fish is done. Remove bay leaf before serving. Stir in parsley. What a splendid soup ! Subtle fish flavor, remarkably good broth, and just the perfect lunch on a cold, blustery day. Fish chowders made with delicate white fish are such a nice change from clam chowders. They are definitely milder and the consistency is just right. Cook bacon in soup pot until crisp them remove, cool and crumble. Reserve 1 T of the drippings in the pan and add potato and onion and cook 5 minutes. Then add flour and cook 1 minute, stirring constantly. Add clam juice and bring to a boil then cover, reduce heat and simmer 10 minutes or until potatoes are tender (less time is needed if you use canned potatoes). Add milk and simmer (do not boil). Add spices and fish and cook 3 minutes or until fish is done. 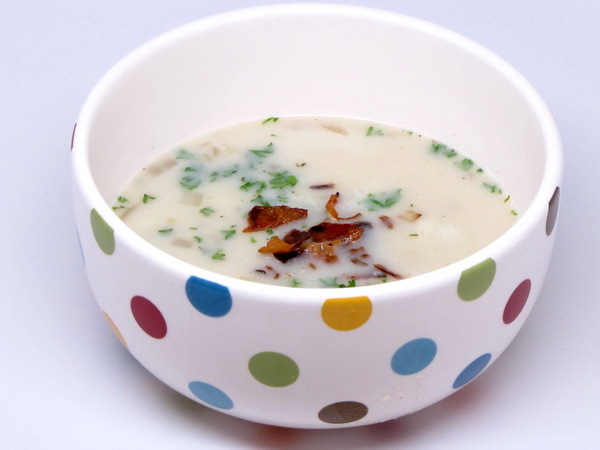 Stir in parsley at the very end and garnish bowls with crumbled bacon. 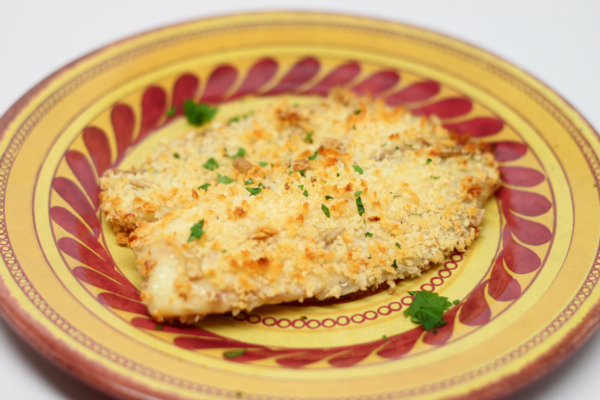 The coating on the fish is so zesty and perfectly balanced that you don’t want to stop eating this. And at only 150 calories per serving, you CAN keep going ! Very satisfying with a big, bold flavor. juice on fish and serve immediately. 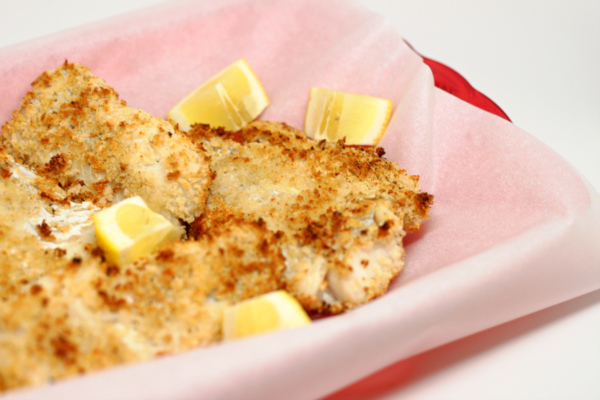 Crispy, moist, flaky fish – this recipe is nothing but good. 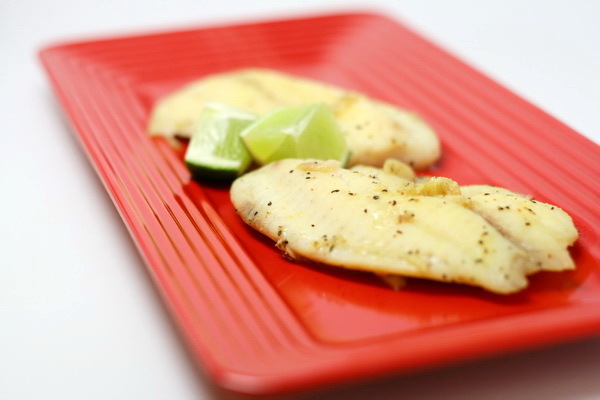 Use any white fish you like and make sure you serve with lemon wedges for that citrus kick. Citrus and fish – they just go together ! 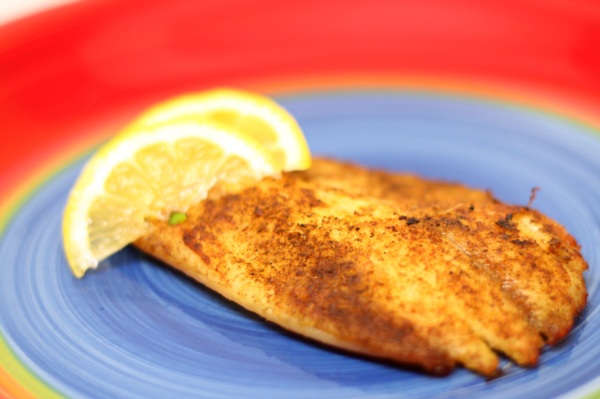 The acidity in the citrus brings out all the natural flavor in the fish and the lemon pepper is the perfect spicy dusting. 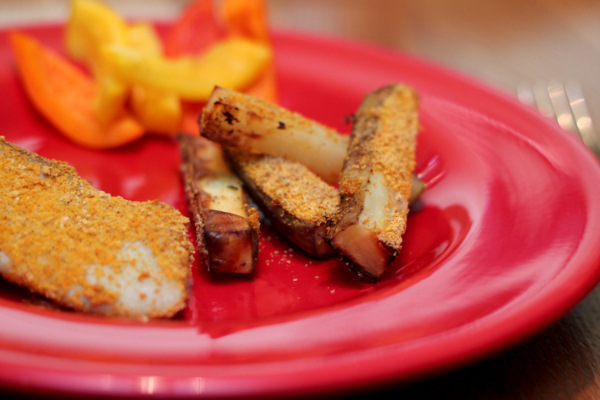 Try serving with Veggies in Cheese Sauce for a great low cal meal with tons of flavor. Heat oil and place the fish in the pan then drizzle with the citrus juices and seasoning. Cook 5 minutes or until fish is done. Any kind of fish will do ! And these are a great change to the boring lunch sandwich. Whenever I have bits of fish leftover, I freeze them – then you can just defrost and do a quick reheat and you are ready to make tacos ! Mix jalapeno, lime juice, cilantro and some salt. Heat oil in a skillet. Sprinkle fish with chili powder, cumin and some salt to taste and cool 5 minutes per side or until done. 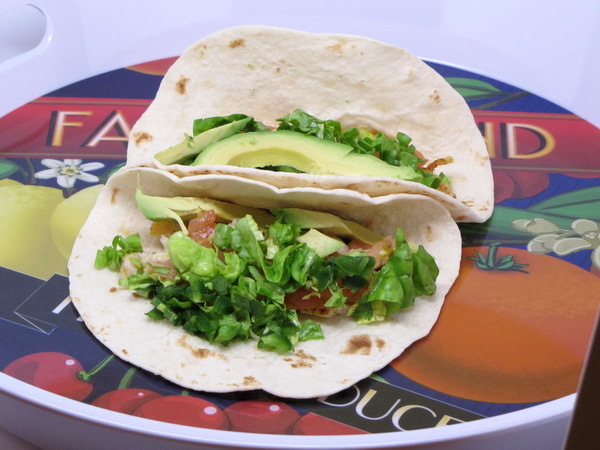 Warm tortilla according to package and them fill with fish, lettuce, tomato and avocado. Top with jalapeno mix.